What will cause Rhonda Corr to be shown the door? From her first presentation to the community I thought Rhonda Corr wasn’t ready for running a district with as many problems as Dayton has. The last year and a half has shown I was right. Adil was still on the board this afternoon. 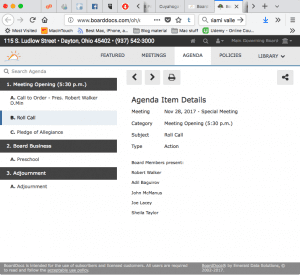 Tomorrow night, the Dayton Board of Education is set to meet in a hastily called extra meeting to discuss the issue of “preschool.” Note, there are no items to vote on, there is no posted set of options, or points of discussion. It’s the most uninformative agenda known to man. Until I pointed it out this afternoon- it also still had Adil Baguirov listed as a board member- but, that’s been fixed. There is no mention of executive session, but, from what I’ve heard, there will be one. I still don’t have a copy of the investigative report that was ordered by the board attorney after former Assistant Superintendent Dr. Markay Winston left the district and claimed discrimination. According to Board Member Joe Lacey, who spoke to the Dayton Daily News after the board meeting where Corr was put on admin leave, it wasn’t discrimination that was the cause, it was something else the investigators found. This, of course, is what makes investigative reporting a challenge, and despite having lots of other stuff to do, I started digging. First thing I found was that Dr. Winston hadn’t filed a lawsuit in Montgomery County, but Rhonda had filed for a divorce. Apparently, there was an issue with her filing locally, since her spouse lived in Cleveland still. There, I found the filing, and that there was a restraining order against both parties, however, the “rule 24” seems to be used on every divorce. The only surprise is that she’d been married to a woman. She had filed to divorce a Cheryl A. Dzuro of Cleveland on 3 Oct of 2017. 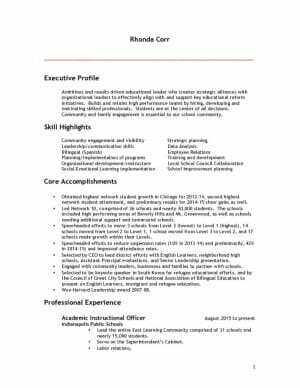 Dzuro currently works as an Athletic Director for Cleveland Public Schools. DEFT’S MOTION TO DISMISS COMPLAINT FOR DIVORCE #405864 FILED NOVEMBER 6, 2017,IS HEREY GRANTED. ALL RESTRAINING ORDERS HERETOFORE ISSUED ARE RELEASED AND DISSOLVED. COSTS TO DEFT. O.S.J. NOTICE ISSUED COURT COST ASSESSED TO THE DEFENDANT(S). They were married July 7, 2007 in Provincetown Ma, and “incompatibility” was cited for the reason for divorce. Never mind that Corr had moved to Chicago in 2013 and then to Indianapolis in 2015 and then to Dayton in 2016 , while Dzuro staid put. Timing of job changes and marriage don’t point to any problems from Cleveland with an inappropriate relationship between co-workers. Divorce isn’t grounds for being put on admin leave, so goose egg there. Searching for info on Corr was made more difficult because she’s gone by so many different names. When she first came to town- it wasn’t Corr-Dzuro, or Rhonda Dzuro, it was Corr- Sergert. Apparently she’d married Bradley J. Saegert March 15, 1986 in Loraine Ohio, when she was 20- and I couldn’t find the divorce. Brad has moved on from what I could see. One little surprise was when she was still Rhonda Saegert, and was arrested and charged with DUI in 2002 in Elyria/Norwalk. That isn’t cause for dismissal either, at least not with the speed that this board operated with. It had to be something bigger. I started to think either she lied about qualifications, or committed a heinous crime. Checking all her names, and Cleveland, Chicago, Indianapolis and Dayton, I kept coming up with goose-eggs, but did find a copy of her resume. Maybe it will come in handy for review when we finally find out what the investigation turned up. The only other item I had to review was the draft and final copies of her performance review. The two documents are as different as night and day. The first draft, done by and signed off by the committee which included Joe Lacey and Dr. Hazel Rountree said Rhonda still needed work in more than a few areas. She needed work on taking responsibility instead of blaming others, mediating and working with people she disagrees with, her insight on big picture items was questioned, district management and educational programs weren’t her strong suite either. By the second draft- which was abbreviated, she needed work in Leadership skills, Responsiveness, Cooperation and Insight. 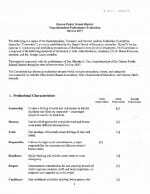 The final draft- signed off on by Dr. Walker and Ms. Corr, didn’t have any deficiencies. She was Wonder Woman. Normally on documents like this, the committee chair would also sign off- but McManus’s signature is absent. Ruminations of an intervention on this by Dr. Baguirov in his waning days of being the bully of the boardroom, were given as the reason the final review was so good. Of course, when the board can’t admit is made a mistake, the last thing you do is say so be evaluating your mistake as an A+ performer. What’s crazy is that before the Board went into executive session, they were considering voting to give Rhonda reimbursement for something from 2016. I’d protested this late addition to the agenda, and as usual, the amount and reason for this action were missing. I’ve requested that info as well and received nothing. What will happen in the next days or weeks in the pending action against Corr will be interesting. 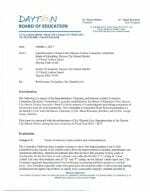 The real problem is that this important action is taking place with three lame duck board members, Dr. Rountree, Ron Lee and Joe Lacey (Baguirov resigned after I pushed the day after I proved he no longer lived in the district). The board rightfully added Rev. William Harris, the highest vote recipient in the November election. This puts the incoming board on the outside of the process- and leaves them with little room for legal input on the decisions being made. If Lee, Lacey and Rountree are just feeling a sense of responsibility for fixing their mess- fine, but wouldn’t it be better to do the hand-off sooner than later? Remember, the DEA had voted no-confidence in both the Superintendent and the board. Moving to the new board would help mend fences- since the DEA endorsed all of the new board members. There are plenty of posts about Corr and her turmoil, going back to the mid-school year RIF that was miffed, the sale of properties, the failure to award contracts on their own timeline, the buyout of David Lawrence who was passed over by this board, her contract, the Mark Baker contract, the strike- the list is long. I didn’t ingratiate myself by writing this really long post back on Nov 17 of 2016, The calamity named Rhonda Corr or the more recent post where I called her, well, the headline says it all: Rhonda Corr, the sociopath superintendent, those aren’t words that come easily to post, but when you post every single job as a move against your core employees- there weren’t any other words to use. Yet, even after that fiasco, the school board president was willing to sign off on a glowing performance review. When we finally do find out what caused the board to place Rhonda on admin leave, one has to ask if Dr. Walker, who signed off on the glowing review that didn’t match the early drafts, has any business staying on the board. I’ve called for all three to tender their resignations to the new board once they take office, since the DEA has no faith in them. These issues will need revisiting. When the board first started interviewing Corr, a scathing comment warned off her unsuitability to lead anything more than an Easter Egg hunt, but I took it down because it included many unsubstantiated claims. Maybe soon, we’ll find out if they were true. Next Post: Rhonda A Corr fired for being a sociopath and a polygamist?